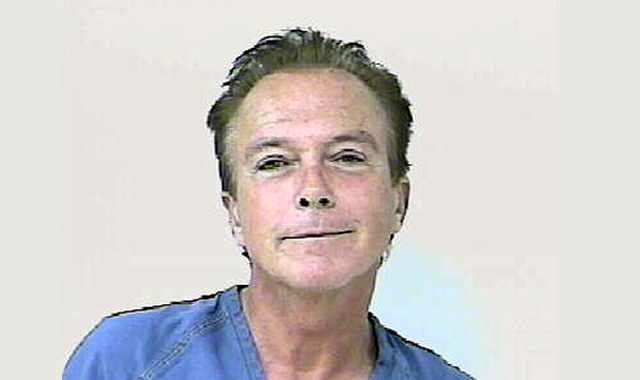 ST. LUCIE COUNTY, Fla. (CBS/WFOR/AP) David Cassidy, the former teen heartthrob who played Keith Partridge in the musical sitcom "The Partridge Family," has bonded out of a South Florida jail after being arrested in St. Lucie County on a DUI charge. The 60-year-old actor was not driving that psychedelic 70's Partridge Family bus; according to the police report obtained by CBS affiliate WFOR, Cassidy was in a white Mercedes when a trooper pulled him over Wednesday night for weaving and swerving on the road. The Florida Highway Patrol trooper wrote in his report that Cassidy was apologetic, appeared nervous and confused, and smelled of alcohol. He also told the trooper that he had has a glass of wine at lunchtime and a hydrocodone pill. Cassidy then agreed to take several field sobriety tests and failed them all, according to the report. He also took two breathalyzer tests, which reportedly he also failed. The first breath test measured .139 and the second was .141, both above Florida's .08 legal limit. WFOR reports officers then searched his car and said they found a half-empty bottle of bourbon in the back. Cassidy was charged with driving under the influence, failure to maintain a single lane and having an open container of alcohol. Cassidy posted $350 bail and was released from the St. Lucie jail early Thursday. His spokeswoman, Jo-Ann Geffen, told TMZ he admits taking a pain pill and being tired from attending a funeral, but insists he was not drunk.